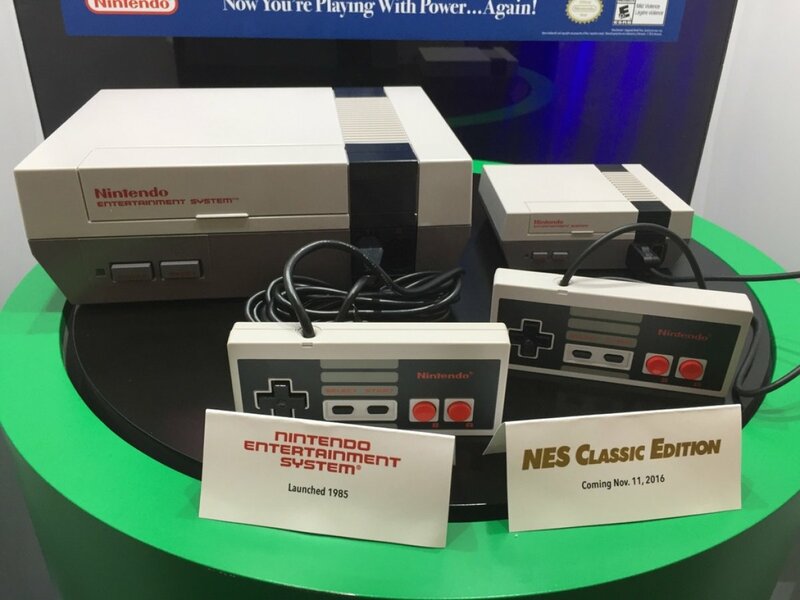 Since it's surprise announcement July, 14th 2016, the Nintendo NES Classic Mini has excited nostalgia loving gamers. The teaser video has been viewed more than 2 million times and the system quickly sold out everywhere when it launched. How has the Nintendo Mini impacted the prices for Nintendo NES cartridges? Are people ditching cartridges for the pre-installed versions? Is the hype for the console renewing interest in the NES? Or maybe just sparking interest in the other 683 games not included in the Classic Mini? We've analyzed the NES prices to answer these questions. The Classic Mini let's you play 30 different NES games on a miniature version of the NES and all the games are pre-installed on the system. No need for cartridges if you want to replay some of your childhood favorites. And the $59.99 MSRP is cheaper than the cost of buying an NES and all 30 games (~$500). We compiled the prices for all 30 games included in the Nintendo Classic Mini during the last 9 months. 4 months before and after it was announced and the announcement month itself. (See the full data set). The prices for November are from November 14th, two days after launch. 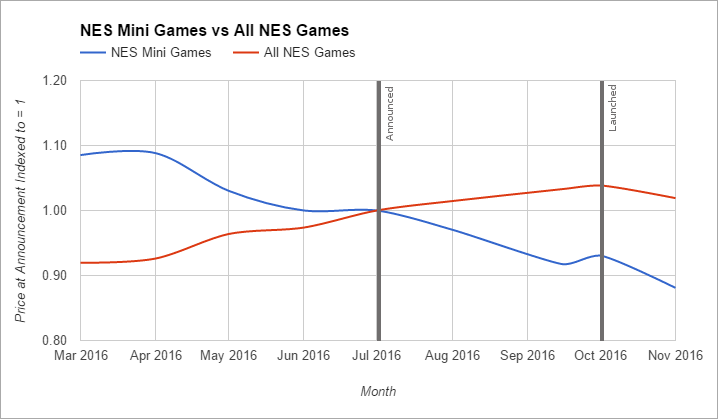 The price for the average NES game was increasing before the Classic Mini announcement and continued to increase afterwards. 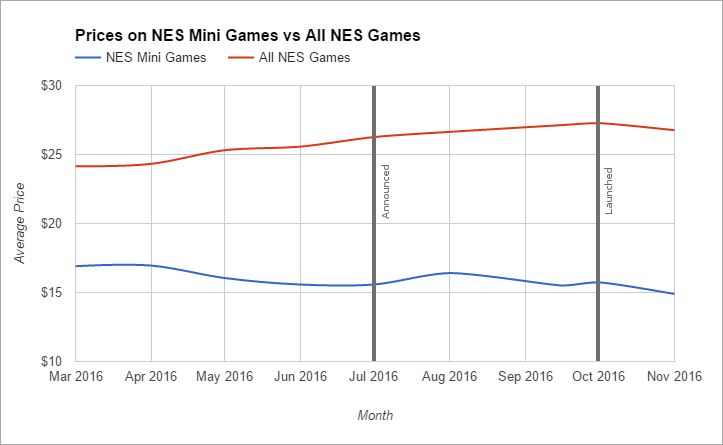 The average price for the 30 games included in the Nintendo Mini was decreasing before the annoucement and continued on the same trajectory. It's easier to see the trends before and after the announcement by indexing both prices to 1 at the time of announcement. See the chart below. The announcement of the Nintendo Classic Mini had no impact on Nintendo cartridge prices. The Classic Mini launch has lowered NES cartridge prices at least in the short term. See that little decline in the red line between October 2016 and November 2016? 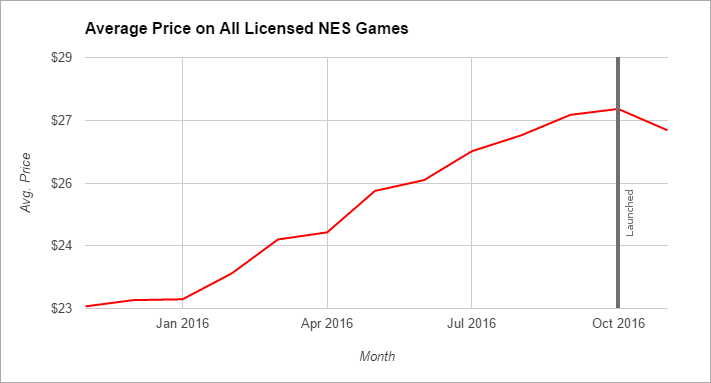 Prior to the launch, NES prices had increased 13 months in a row. After launch, prices dropped. Two days is not enough data to see the full impact on cartridge prices, but initial data looks like there will be an impact. Will the Mini launch continue to lower NES cartridge prices? Or is this just a short term blip? Let me know your thoughts in the comments below. Long term? No impact that isn't within the margin for error. @paul - Wii's Virtual Console had no impact on cartridge prices either. So your guess is probably a good one. Can we get an update on this? @sparky01gt - It is hard to know causation this far after release. NES games prices did hold steady for several months after NES mini came out after a long streak of increases. But this same pattern has been seen before the NES Mini too. Prices for the average NES game have not increase since NES Mini came out, but they have not decreased either. Basically the exact same. It is hard to know if this slow down in price increases is natural variation or caused by the Nintendo Mini.